Paparazzi (US /pɑːpəˈrɑːtsi/, UK /pæpəˈrætsi/; Italian: [papaˈrattsi]; singular: masculine paparazzo [papaˈrattso] or feminine paparazza [papaˈrattsa]) are independent photographers who take pictures of athletes, entertainers, politicians, and other celebrities, typically while going about their usual life routines. 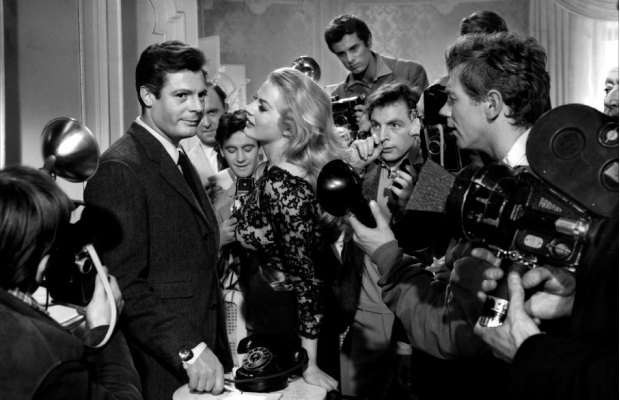 The word “paparazzi” is an eponym originating in the 1960 film La Dolce Vita directed by Federico Fellini. One of the characters in the film is a news photographer named Paparazzo (played by Walter Santesso). In his book “Word and Phrase”, Robert Hendrickson writes that Fellini took the name from an Italian dialect word that describes a particularly annoying noise, that of a buzzing mosquito. As Fellini said in his interview to Time magazine, “Paparazzo … suggests to me a buzzing insect, hovering, darting, stinging.” Those versions of the word’s origin are confirmed by Treccani, the most authoritative Italian encyclopaedia, but sometimes contested. 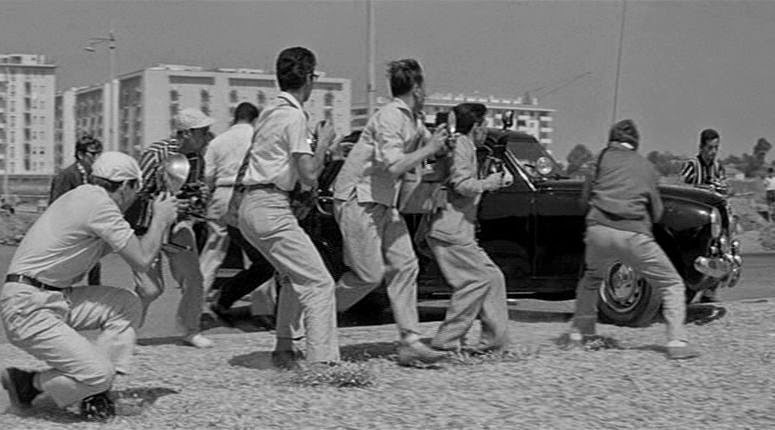 For example, in the Abruzzi dialect spoken by Ennio Flaiano, co-scriptwriter of La Dolce Vita, the term “paparazzo” refers to the local clam (Venerupis decussata), and is also used as a metaphor for the shutter of a camera lens. Further, in an interview with Fellini’s screenwriter Flaiano, he said the name came from the book Sulla riva dello Jonio (1957), a translation by Italian poet Margherita Guidacci of “By the Ionian Sea”, a 1901 travel narrative in southern Italy by Victorian writer George Gissing. He further states that either Fellini or Flaiano opened the book at random, saw the name of a restaurant owner, Coriolano Paparazzo, and decided to use it for the photographer. This story is further documented by a variety of Gissing scholars and in the book “A Sweet and Glorious Land: Revisiting the Ionian Sea” (St. Martin’s Press, 2000) by John Keahey, and Pierre Coustillas. which concerns the discovery on the beach at Ostia of the corpse of one Wilma Montesi, nominally a secretary but rumored to be a “party girl.” While the coroner claimed “natural causes” for her passing, all manner of speculation about this woman’s death and those allegedly responsible for it (including the husband of actress Alida Valli) circulated for months and were never satisfactorily resolved. who finds true love of a sort the killer couple never knew.